This Team Dry Tee from Canterbury’s kidswear range features the same quality construction that’s synonymous with our adult’s apparel collection. 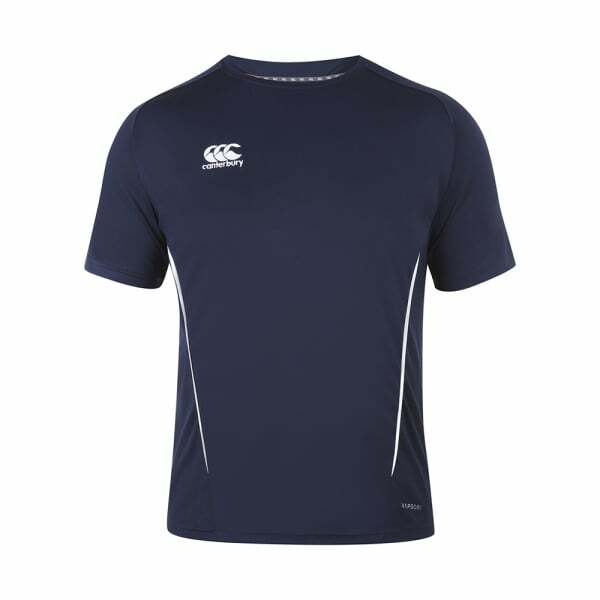 Integrating Canterbury’s own Vapodri fabric technology, this 100% polyester tee focuses on regulating body temperature to keep junior athletes dry and cool. Living up to its name, the Dry Tee also features moisture-wicking and sweat-evaporation properties. With a stylish polyester mesh back and contrast synthetic piping, younger athletes are sure to stand out amongst the crowd while enjoying full range of movement on the field or in training. The tee is complete with a flattering ribbed crew neck and an embroidered CCC logo that reflects the quality of the entire Canterbury tradition.